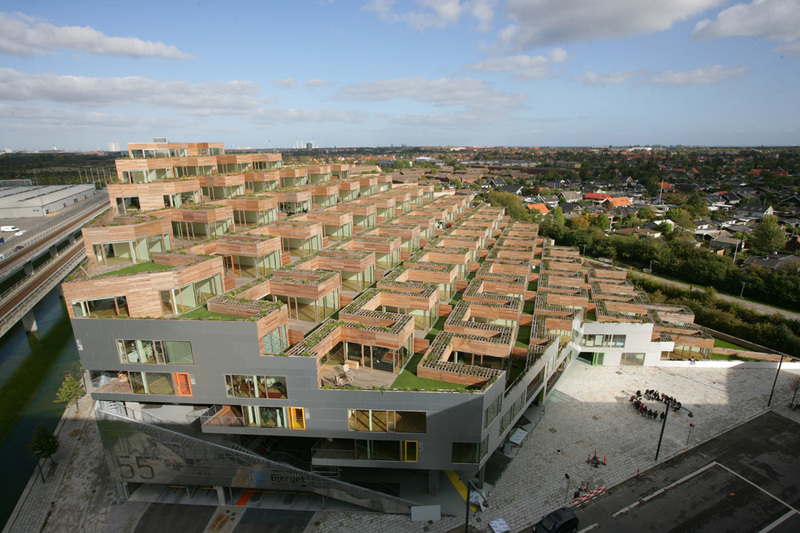 The Mountain Dwellings were completed last year in Copenhagen and published widely, but have remained immune from real critical analysis; thousands of words have been written about this unconventional building, but far too many of them have been gushing. 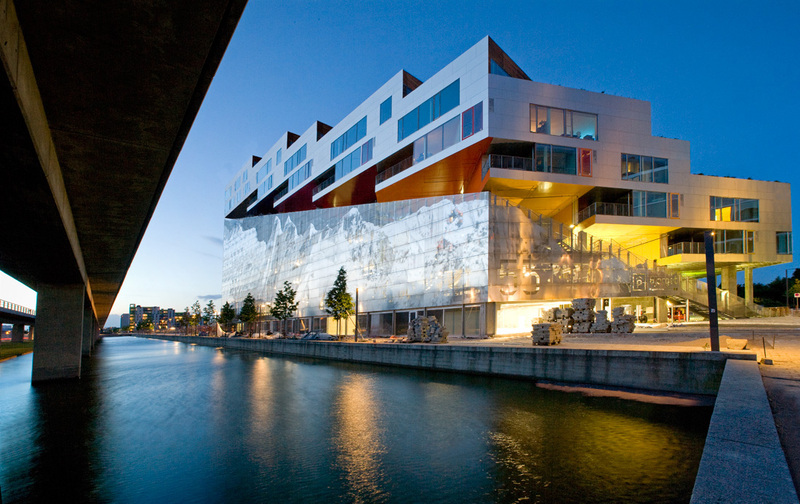 I too think Bjarke Ingels Group’s building is deserving of praise, but by extension it requires more attention, closer reading. Projects like Mountain, however, are resistant to close reading. Their details aren’t often what one might call tectonic but instead laissez faire. They leave the talking to the program. There are things to read, just not what Ken Frampton might look to first. Mountain’s details have the appearance not of carelessness but ease, as if designed to be ignored. On the terraces, vines are meant to grow over and cover the architect’s handiwork, in other places it’s obfuscated by paint. 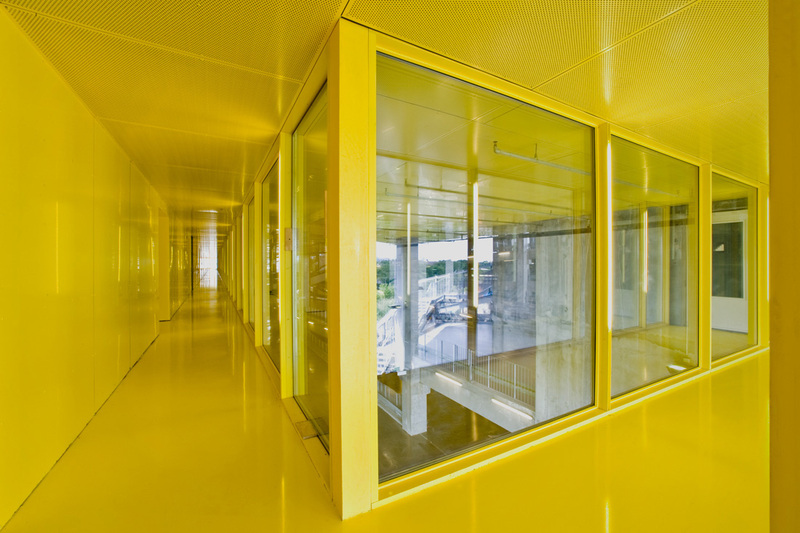 A perfect example are the circulation hallways, where every material is saturated with a bright, glossy color that doesn’t permit one to scrutinize their interconnection. Furthermore, the metal panels along the circumference of the building seem to refuse to take a position. Are they volume or surface? Material or dematerializing? None of these seem worthy of much scrutiny. One must instead scrutinize diagrams. Mountain, after all, is a constructed diagram in the best possible sense, a representation of its social and architectural agendas in built form. It’s a social experiment collapsing suburban dream and urban reality, but also a formal experiment based on the stepped massing BIG has so favored since their amiable split from JDS. These two PLOT successor firms have continued work on what might be called a “Powerpoint Formalism,” dependent upon narrative diagrams to explain (but not justify) their designs’ ostentation. There is an important distinction to be made between explanation and justification here: justification would mean that the solutions developed by Ingels and de Smedt are logical or rational, based on statements of fact, when in fact they are not. Their logic is fuzzy at best, their calculations vague. The point of fuzzy logic is to make an argument financiers can’t deny, to “cook the numbers” such that a project can’t be dismantled by value engineering. Lewis Tsurumaki and Lewis may have best encapsulated this approach in their neologism “surrational,” describing those instances when the rational, taken to extreme, becomes absurd and therefore surreal. Mountain is nothing if not surreal. Mountain’s formal conjecture cuts to the core of Modernism’s default rectangularity. A flat roof, it says, doesn’t satisfy contemporary needs. 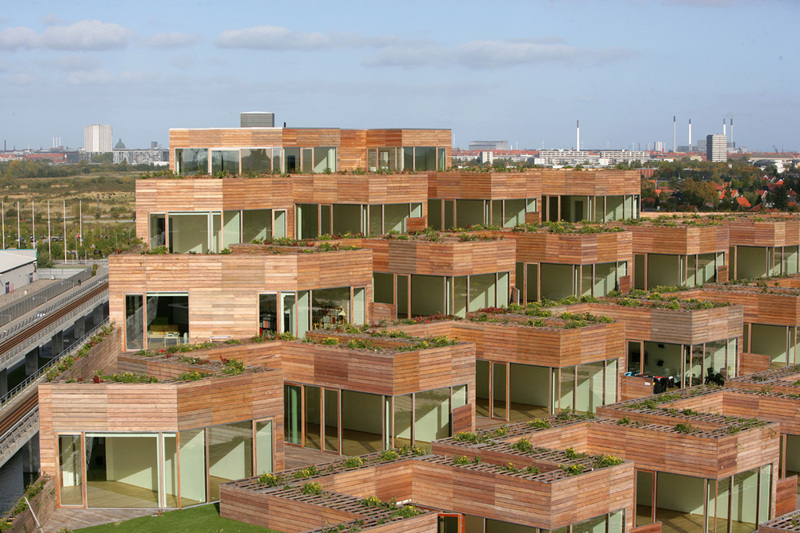 It questions the rectangle’s ability to make all equal and also its ecological performance. Mountain’s form in incredibly specific, but it’s strategies (roof terraces and a stepped massing) are transferrable. Like Le Corbusier’s Unite d’Habitation before it, Mountain makes a lifestyle rather than just a building, its argument is green without being greenwash, a rethinking of typological models rather than a reskinning with technology. It’s also cheeky. Denmark has no mountains. A mountain lifestyle there is one so different it nearly constitutes a category error. In order for the lifestlye to be transposed it had to be simulated. But Mountain is no mere simulation. It makes an argument in the affirmative, constructing a fully-formed alternative lifestyle within the confines of its site. No small feat. PLOT’s earlier VM Housing next door didn’t transform the urban lifestyle thoroughly enough, so BIG had to go further. They’re always going further. I for one can’t wait to see what they do next.